SCROLL THROUGH THE PLAYLIST TO SEE ALL THE SHOWS AND THE DETAILS! Ann previews the three big golf tournaments heading to the area: the U.S. Men’s Open at Merion Golf Club outside of Philadelphia; The Travelers Championship in Cromwell, Ct; and the U.S. Women’s Open at Sebonack Golf Club in Southampton, N.Y. Ann talks with Nathan Grube, the Tournament Director of The Travelers and to Alison Metcalfe of Tourism Ireland about the plethora of choices for American golfers in Ireland and Northern Ireland. Ann’s noon report, live on WFAN Radio from the US Open tennis championships, peviewing the semi-finals and women’s final. Ann’s reports are sponsored by ROLEX. Ann’s 1pm up-date from the US Open tennis championships, semie-finals, sponsored by ROLEX. Ann’s live report at 6pm on WFAN Radio during the US Open at Pebble Beach, sponsored by Tourism Ireland. Ann’s live report at 10pm on WFAN Radio during the US Open at Pebble Beach, sponsored by Tourism Ireland. Ann’s 11am live up-date on WFAN Radio from The Masters in Augusta, Georgia, sponsored by Tourism Ireland. Ann’s noon live up-date on WFAN Radio from The Masters in Augusta, Georgia, sponsored by Callaway Golf. Ann’s 6pm live up-date on WFAN Radio from The Masters in Augusta, Georgia, sponsored by Callaway Golf. Ann’s 11pm live up-date on WFAN Radio from The Masters in Augusta, Georgia. Hey Liguori, What’s the Story? Listen to a portion of Ann’s interview with Wilt Chamberlain in an animated feature released by Blank on Blank. Pix 11 interview: Ann talks about her Classic Sports Innerview series, now on AMAZON.COM, and talks golf, and golf movie trivia, with WPIX TV’s Scott Stanford. 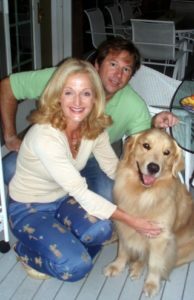 Ann hosts a weekly ‘Sports Innerview with Ann Liguori’ radio show every Saturday morning from 9-10 am on WPPB 88.3 FM, broadcast throughout the East End of Long Island, The Hamptons, Gold Coast of Long Island, southern Connecticut and parts of Westchester. Each week, Ann talks about issues in sports and interviews top names and experts in the field. 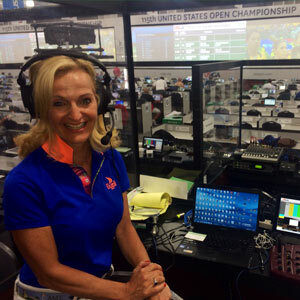 Ann often takes this show ‘on the road’ and has broadcast, live, from links courses in Ireland, The Masters in Augusta, Georgia, The White Witch Golf Course in Montego Bay, Jamaica, from Disney’s World Of Sports in Orlando, from PGA National in Palm Beach Gardens, from the US Open tennis in New York, PGA Championships, US Open golf; Cancun and Cabo, Mexico, etc. Ann’s sponsors for these shows, (shows which are broadcast live from both remote locations and in studio in Southampton, NY), enjoy access to her loyal audience who are passionate about sports, leisure activities, fitness, health and travel. If you would like more information about sponsorship of her weekly program, contact Ann Liguori Productions at innerview@aol.com. Ann is one of the original sports talk show hosts on WFAN 660AM, the first radio station to go to an all sports format in 1987. Ann hosted a weekly call-in show from 1987 to 2008 and developed a loyal fan base who called her each week and talked about all sports and listened to her in-depth interviews with legends. Her fans remember her show “Hey Liguori, What’s the Story,’ and enjoyed listening to Ann’s expertise and opinions. Ann always gave her listeners time to chat and voice their opinions and also was known as the ‘voice of reason.’ Click here to read about Ann’s work on WFAN. 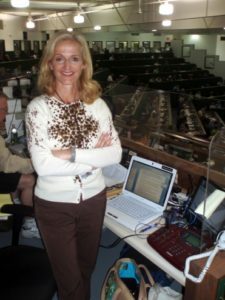 Ann continues to work as the expert golf and tennis commentator for both WFAN Radio and CBS Sports Radio Network and each year, covers The Masters, US Open, PGA Championships, US Open tennis, various PGA Tour and LPGA Tour events and the Ryder Cup every other year, etc. Sponsors enjoy being a part of Ann’s broadcasts from these prestigious venues. They appreciate her knowledge, her ‘brand’ and the loyal audience who listen every 20 minutes for her golf and tennis reports. If your company is interested in learning more about how they can get involved sponsoring Ann’s live reports on both WFAN Radio and CBS Sports Radio Network from the most prestigious golf and tennis Majors, email Ann Liguori Productions at innerview@aol.com. Ann has covered six Olympics for network radio as show host, reporter and play-by-play commentator, including the 1984 Los Angeles Games, the 1992 Albertville Games, the 1994 Lilehammer Olympics, the 1996 Atlanta Games, the 1998 Winter Olympics in Nagano, where she covered alpine for CBS Radio/Westwood One, doing live play-by-play of the men’s and women’s downhill and the 2004 Winter Olympics in Torino, Italy, where Ann continued as a play-by-play commentator for men’s and women’s alpine events and freestyle for Westwood One Radio Network. "Ann Liguori's show on The Golf Channel has played a major part in its success during its formative years -- a credit to her style, knowledge and wonderful personality. She is a professional in every sense of the word." "If there was an Interviewer's Hall of Fame, Ann would be in it!" "I've had more people comment about the interview that Ann did with me than anything else I've ever done!" "It's just a delight to do an interview with Ann Liguori." "Ann is the Barbara Walters of the Country Club set!" "Ann Liguori has a passion for the interview. She always does her homework and is always totally prepared." "A great interviewer and a good player, Ann is also brilliant and would be an asset to any board on which she might serve." "Ann's 'Sports Innerview' radio show on WPPB 88.3 FM is the best sports show on the radio! It's a must-listen! I listen to it every week, whether I'm in the Hamptons and tune into it on 88.3 FM or whether I'm traveling and listen to it on my lap top at www.peconicpublicbroadcasting.org. Ann's experiences in the sports world is fascinating as she brings her keen insight and knowledge to all of her interviews!" 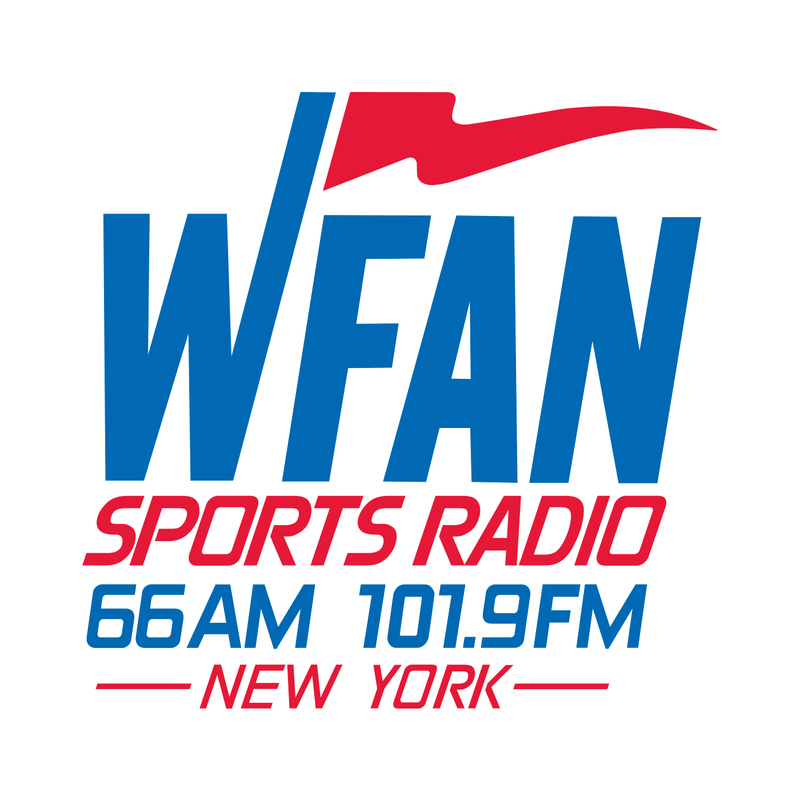 "Ann is THE expert on golf and tennis and when you want to get the latest news and commentary on what's happening, tune into Ann Liguori during her up-dates from the Majors on WFAN Radio 660 AM / 101.9 FM. I never miss her reports!" "Ann, Thanks so much for inviting me to speak on your show this morning. I appreciate deeply your thoughtful questions, questions that both have a sense of fun, that are reflective, and that capture the key points in the book. Truly, an "Innerview." "Ann's weekly Sports Innerview radio show on WPPB 88.3FM is the last intelligent sports talk show left in the universe." I've done lots of interviews for The Big Show, but it has never once occurred to me to thank the interviewer (I'm kinda self-centered, I guess), but you were so fantastic that I must thank you. Your reaction to the book was exactly what I was hoping for when I wrote it - you're pretty much my ideal reader! It was a delight to talk to you. I am now officially your biggest fan on the West Coast. "I listened to a lot of radio as i grew up, perhaps a bit too much. From early on I knew that it was what I wanted to do, so I started listening to what was going on with the broadcasters more than the content of the show itself. I studied the styles of everyone I could to see what their style was and how it worked for them. Steve Somers had his wittiness and playful sarcasm. Francesca and Russo had the good cop/bad cop roles down to a science. Imus was, well, Imus. The things I liked most about your show, and your style, are many. One being that while it was obvious you had a wealth of knowledge, you never came off as a "know it all". You could speak to a variety of subjects without sounding like you were lording it over anyone's head. Alongside that, I've always been amazed at your ability to deal with some of the more "unique" perspectives some of those callers had. Everybody has their own way of dealing with those. For example Somers "agreeing" with a wink and a nod to the audience or Francesca dismissing them as foolish or blowing his top. But you seemed to have an innate ability to respond with logic and sense in a non-condescending way. Sometimes even getting them to come around to your way of thinking by the end of the call. I don't ever recall you losing your cool, which in that format is pretty amazing. You also just always sounded like you were having an absolute blast. You sounded genuinely happy to be there and to be talking sports. I'm sure the vast majority of the time you were. Everyone has those bad days once in awhile, but I would never have been able to tell if you were."